A Department of Natural Resources (DNR) Officer was struck Wednesday night, April 11, 2018, by a driver under the influence. The DNR officer had responded to a call regarding a lost seal. The seal was spotted near Onset Avenue. The DNR officer was not injured in the crash, but the driver who was under the influence and struck the DNR officer was treated by Wareham EMS workers who then took the driver to local area Tobey Hospital for evaluation and treatment of his injuries. The extent of the driver’s injuries has not been released. He is being charged with operating while under the influence, as well as other charges. The Wareham DNR driver had his warning lights flashing while he was sitting in his truck on Onset Avenue. He was trying to find a seal that had previously been seen nearby. The driver of the other vehicle struck the truck while attempting to drive past. When the Wareham Police arrived, they saw the seal on the sidewalk, then watched it move into the nearby swampy area. The Wareham DNR’s office as well as the International Fund for Animal Welfare are still attempting to locate the seal. Investigations into the accident are still ongoing by the police. When a driver is under the influence and causes injuries in a car accident, that can change how a typical personal injury lawsuit unfolds. 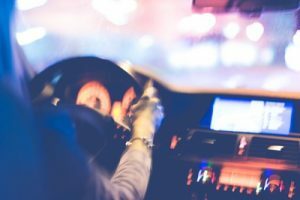 Where the driver is charged and convicted of driving under the influence, the law recognizes that there isn’t much more that needs to be established in a civil court. The investigation that your personal injury attorney will undertake is to properly document and submit your damages to the court or insurance company. At the Law Offices of Jeffrey S. Glassman we care about your case and want to help you get the compensation you deserve after you have been injured. Do you believe another party acted negligently and now you need legal assistance? If you or a loved one have been killed or injured in a car accident, please contact us at (617) 367-2900 today.